Ardsley Advisory Partners, led by Philip Hempleman, reported that it currently holds 833,000 shares in World Energy Solutions, Inc, (NASDAQ:XWES), worth around $3.5 million, down from approximately 913,800 shares held in January. Presently, the activist stake amasses 6.8% of the company’s stock. 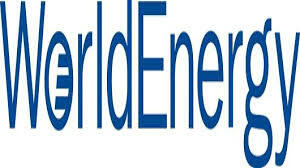 World Energy Solutions, Inc (NASDAQ:XWES) and Ardsley Advisory entered into a settlement and standstill agreement which would appoint two new independent directors to the company’s board and also increases the size of the board from five to seven, and provides for the board’s nomination of a third new independent director in connection with the 2014 annual meeting. Peter A. Londa joins the board of World Energy as a Class III director, with his term expiring at the 2015 annual meeting of the stockholders. Sean S. Sweeney joins the Board as a Class II director and will be nominated by the board for election at the 2014 annual meeting. Under the agreement, one of the two new independent directors will be appointed to the board’s Corporate Governance and Nominating Committee. World Energy has also agreed to form a Strategic Alternatives Committee to work with the company’s management and professional advisors to identify and review financial and strategic alternatives to enhance the company’s revenue and value. One of the two new independent directors will be appointed to the Strategic Alternatives Committee. Ardsley has agreed to certain customary “standstill provisions” with respect to its company’s common stock. World Energy Solutions, Inc (NASDAQ:XWES) is a $56.8 million market cap provider of a range of energy management solutions to both the private and government sectors. Earlier in January, the energy management services firm, established a new strategic banking relationship with Commerce Bank, a Worcester-based financial institution. Under a new $8.5 million credit facility, World Energy has entered into a $6 million, 60-month term loan and $2.5 million line-of-credit effective December 30, 2013. This facility replaces the company’s prior $9 million facility with Silicon Valley Bank (SVB), World Energy Solutions said in a statement. As at the end of the fourth quarter 2013, the only other stakeholder of the company was Chuck Royce’s Royce & Associates, which held 799,100 shares worth $3.4 million. In January, Ardsley Advisory Partners trimmed its stake in Saba Software, Inc. (OTCMKTS:SABA) to 3.3 million shares and sold 50,000 shares of the company. Some of the largest investments of the fund as at the end of the fourth quarter of 2013 were in Jazz Pharmaceuticals Inc (NASDAQ:JAZZ) with an exposure of 353,500 shares and a reported value of $44.7 million. The fund owns 1.4 million shares in Canadian Solar Inc (NASDAQ:CSIQ), which is equivalent to a reported value of $42.5 million.